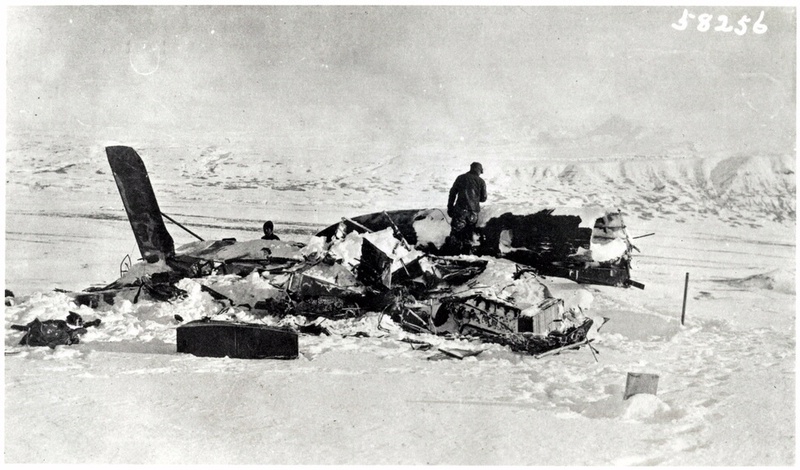 Martin, Harvey, and the Seattle crash in Alaska. Flight commander Frederick Martin and Alva Harvey crashed the Seattle on a mountainside near Point Moller, Alaska, on April 30. Both survived, but their journey around the world, and that of the Seattle, was over. National Air and Space Museum, Smithsonian Institution (SI 81-8962).